68012 passes Oddington in superb late evening light on 12 May 2016 with the 1T54 18:18 Marylebone to Oxford Parkway Chiltern Railways service. This was running 21 minutes late, due to an earlier broken down train at Denham. 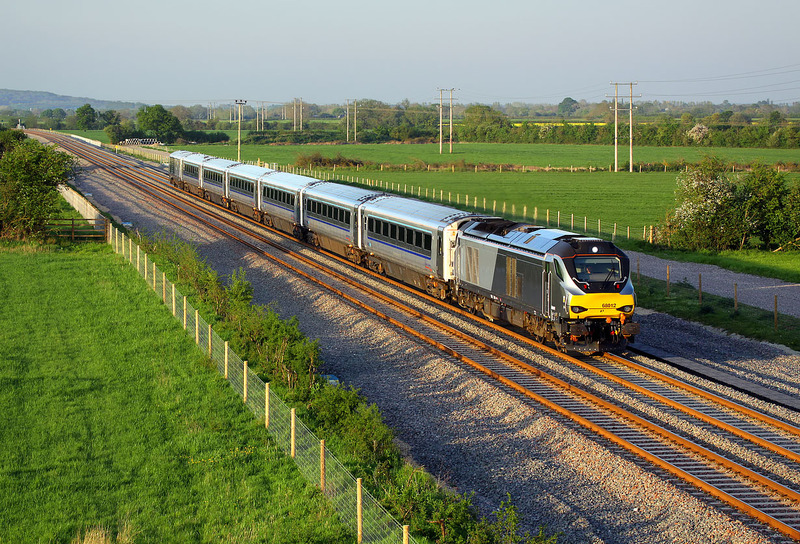 The rebuilding of the Bicester to Oxford line has created numerous new photographic locations, and at the moment the lineside is virtually completely clear of trees. This is in marked contrast to how grown up the line was when it was just a sleepy single tack byway.